Cicis (formerly named CiCi's Pizza) is an American buffet restaurant chain based in Irving, Texas, specializing in pizza. There are 442 franchised and corporately owned restaurants in 32 states. In November 2015, the company began a new marketing campaign which included the renaming of the company to Cicis (by dropping the apostrophe and making the second 'C' lowercase), along with the addition of a new logo and redesigned website. A CiCi's Pizza restaurant in Brooklyn, Ohio. Joe Croce and Mike Cole founded Cicis in 1985 in Plano, Texas. In 2001, with 363 restaurants at the time, the chain expanded its buffet offerings and began remodeling restaurants. Four years later, Cicis had more than 500 locations, and was the fastest-growing pizza chain in the United States. In 2003 Croce retired from the business, and passed ownership of the company to the company's executive team. Craig Moore, who was a general manager in Dallas, became vice president of the company, a position he held for five years before he was named president after the sale. Croce gave 20% of his proceeds to Gateway Church, where he was a member. As president of the chain, Moore oversaw the company's operations and franchise growth, eventually announcing his retirement in 2009, after 17 years with the company. Michael Shumsky took over after Moore retired in late 2009 (He had previously served as CEO of La Madeleine Restaurant, Inc.). Darin Harris is the current CEO of Cicis Pizza after joining the company in August 2013. In addition to its current restaurants, in 2010 Cicis announced plans to add another 500 restaurants in the next 10 years (with the possibility of expanding internationally into Canada and Mexico). Cicis has won numerous awards and has also been named one of the top 25 performing brands by The Wall Street Journal and a top 200 franchise concept by Franchise Today. The award for worst restaurant ideas has also been awarded to the pizza chain. In November 2015, the company began a new marketing campaign which included the simplified renaming of the company to just Cicis with the modifier "Beyond Pizza," along with the addition of a new logo and redesigned website. The campaign is aimed at proving that Cicis has more to offer than just pizza. From 2004 to 2009, CiCi's Pizza has held third place in the pizza category for Restaurants & Institutions' "Consumers' Choice in Chains" contest, which is judged based on consumer reviews of the competing restaurant chains. In March 2009 Men's Health gave CiCi's Pizza "top marks" in providing healthy food choices among its list of "66 major chain restaurants". ^ Cicis Locations Cicis Pizza. Retrieved 4 March 2019. ^ Revitalized Cicis Steps up New Restaurant Openings." Cicis Pizza. Retrieved February 11, 2016. ^ Voorhis, Dan (2002-07-06). "Fast Growing Dallas Pizza Chain to Open Store in Wichita, Kan". The Wichita Eagle. Retrieved 2009-09-20. ^ a b Quinn, Steve (2001-10-05). "Locally based pizza chain is pursuing growth Cici's launches a new look and expands its trademark buffet". Dallas News. Retrieved 2009-09-20. ^ Shlachter, Barry (2005-07-05). "CiCi's budget buffets propel company to fastest-growing pizza chain". Fort Worth Star-Telegram. Retrieved 2009-09-20. ^ "Consumers' Choice in Chains Winners, 2004–2009". Restaurants & Institutions. Reed Business Information, a division of Reed Elsevier Inc. 2009. Archived from the original on December 8, 2009. 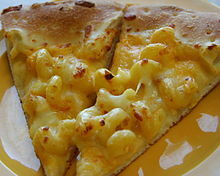 ^ "CiCi's Pizza Scores Top Marks on Men's Health 'Eat This, Not That!' Report Card" (Press release). Coppell, Texas. PRNewswire. March 26, 2009. Archived from the original on May 3, 2009. Retrieved April 7, 2015.